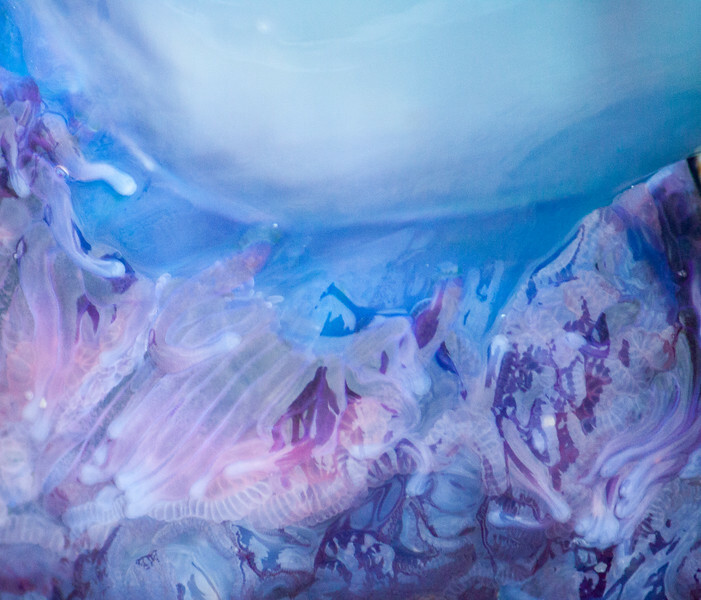 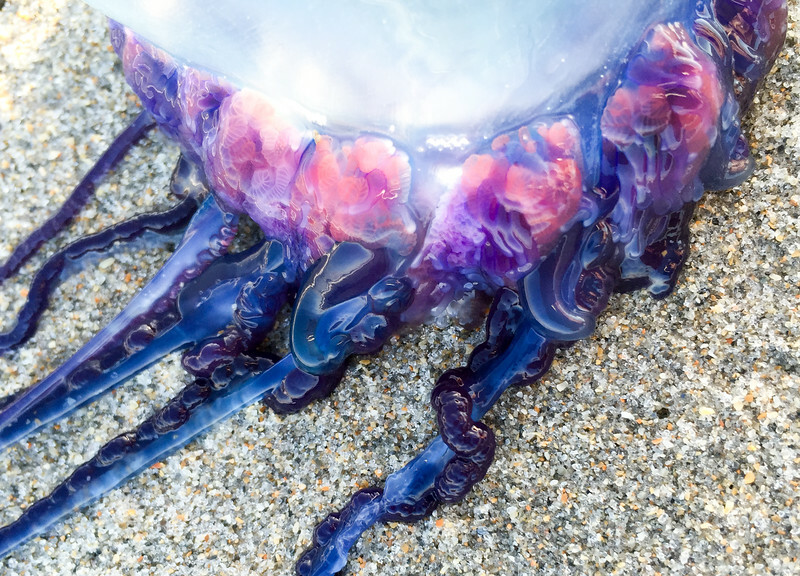 The Portuguese man o' war (Physalia physalis) is often called a jellyfish, but it is only distantly related. 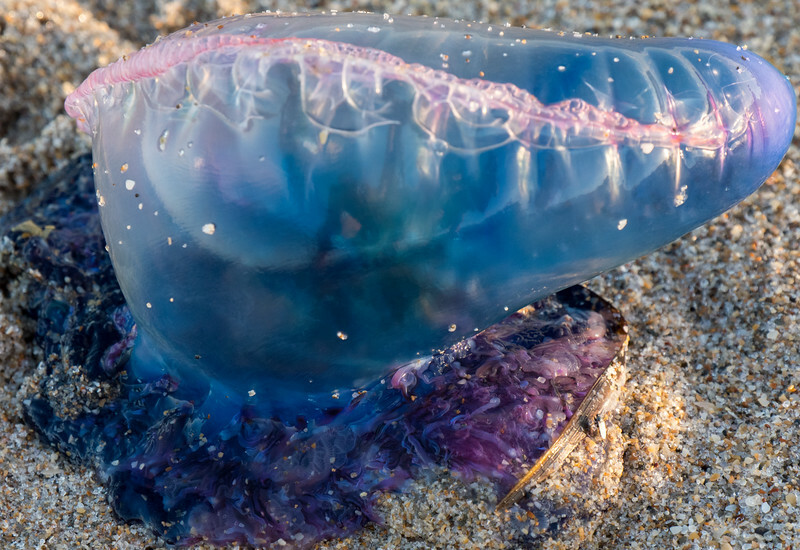 The man o' war is a siphonophore, made up of a colony of four different kinds of organisms called zooids, each with a specific purpose. 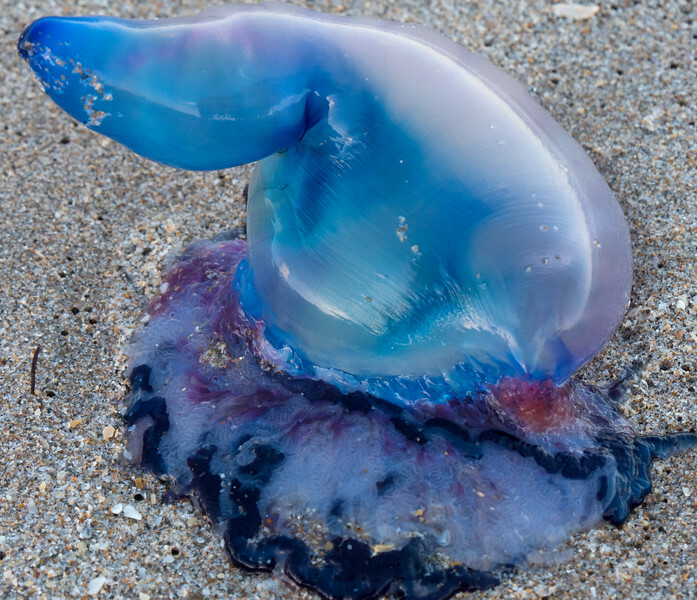 The blue balloon-like pneumatophore that floats on the surface of the ocean is for locomotion. 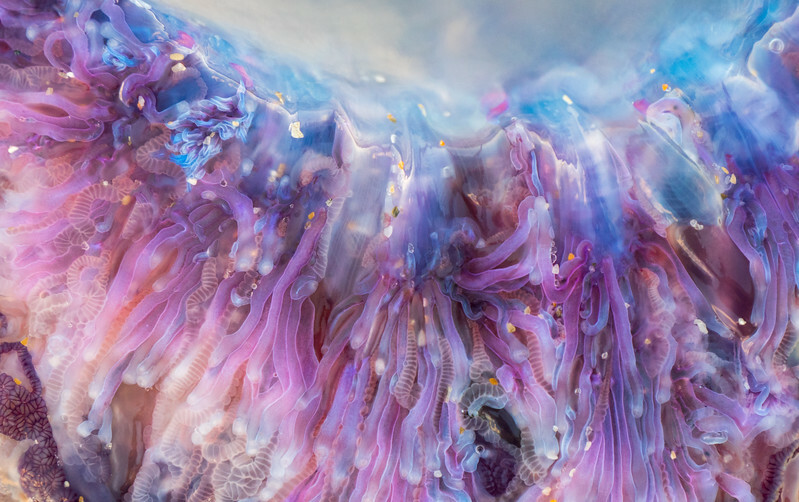 Below are the tentacles for reproduction (gonozooids), feeding (gastrozooids), and the defensive prey-capturing tentacles (dactylozooids) which contain stinging capsules called nematocysts. 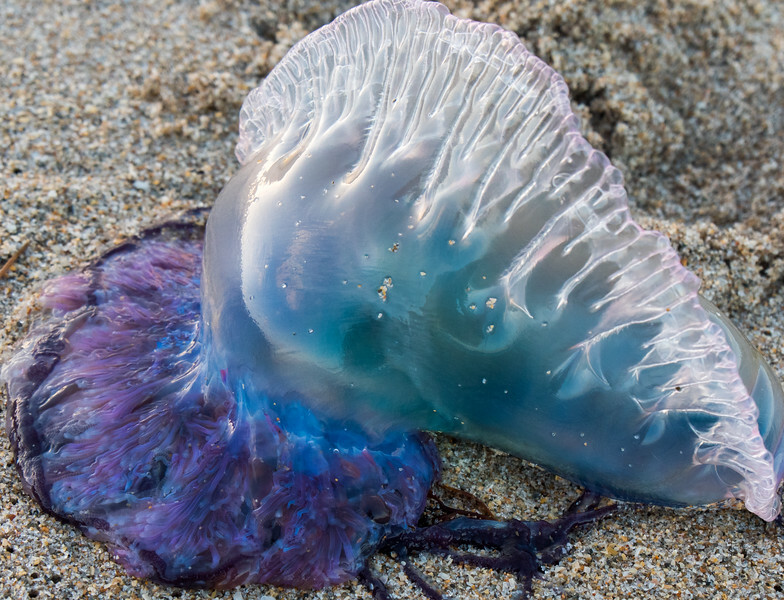 The nematocysts are packed with tiny, coiled, stinging barbs that shoot out whenever the cells are disturbed. 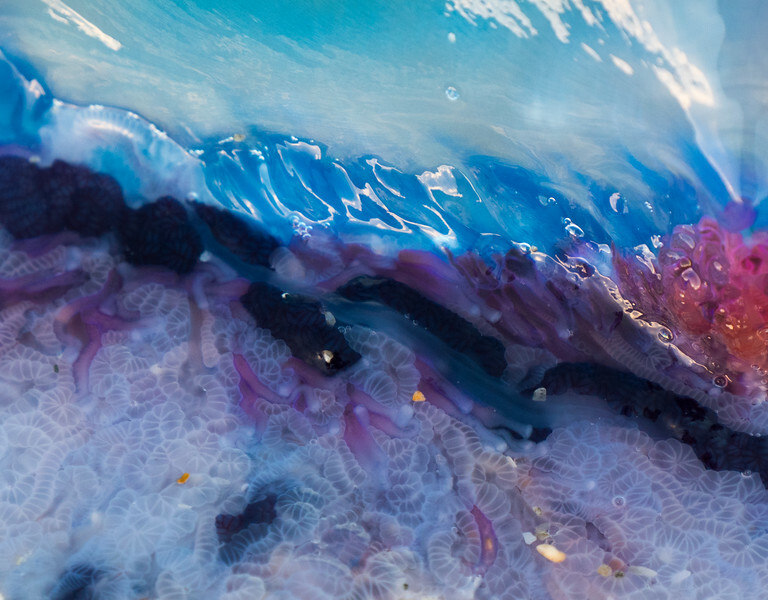 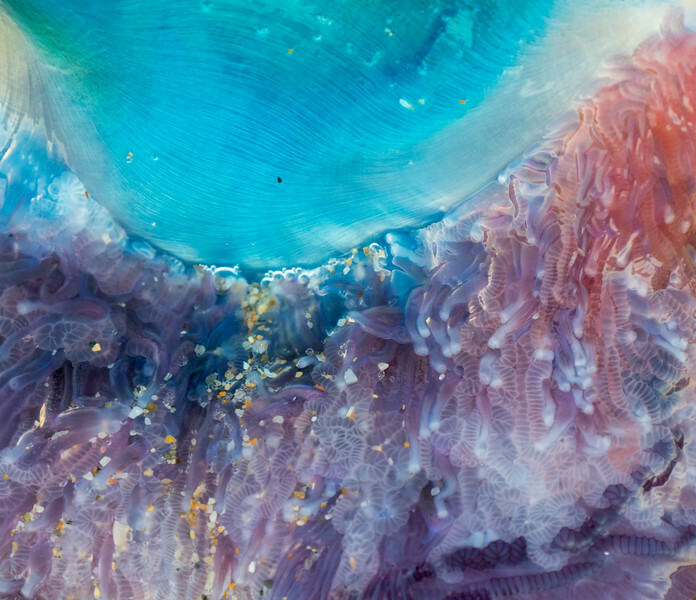 Some of the zooids and tentacles are visible when man o' war wash up on the beach, as you can see in the photos below. 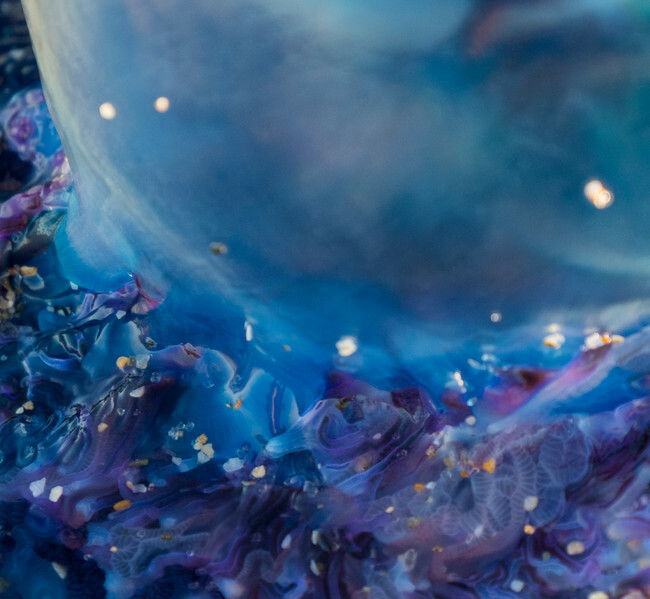 Click here to see stunning photos and videos of floating man o' war from National Geographic. 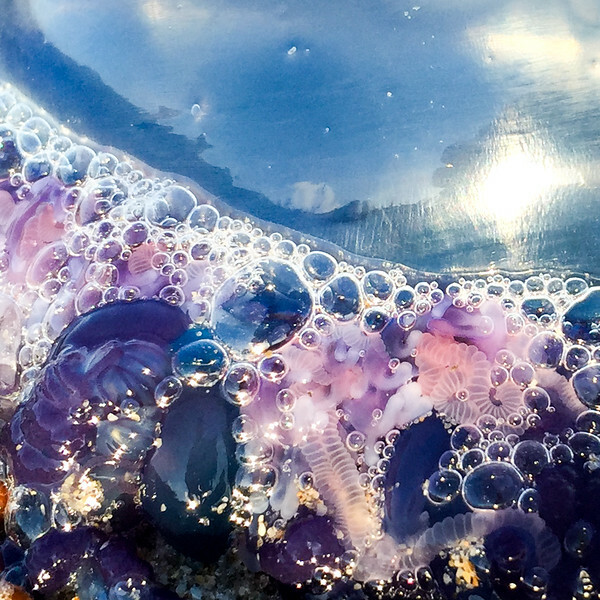 Sources: National Geographic, South Carolina Department of Natural Resources Marine Resources Research Institute Southeast Regional Taxonomic Center.